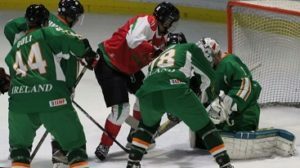 The 2017 Development Cup saw Portugal win their first ever ice hockey game against another international team, beating Andorra in their debut 3-2 on Friday in Andorra. It was a big game for Portugal, who were trailing 2-1 after two periods of play. Ludovic Blasi Gazeres scored the first ever goal for Andorra in international play, with Christian Moreno Escriva getting credit for the assist. Andorra would score a second goal on the power play. This time, Louison Courcol would score his first in international play, doubling up their lead at 2-0. But the game was all Portugal from there on out. In the second Christopher Leite scored the first goal for Portugal in international play when he scored off of a Kevin Hortinha pass on the power play, cutting Andorra’s lead in half. Sylvain Rodrigues, a player playing in France, would tie the game up at two apiece in the third, giving Portugal more life. late in the game, Portugal would score another one when Matthew de Melo scored the winning goal on the first penalty shot to take the lead late, giving the visiting squad their first ever victory in an international tournament. 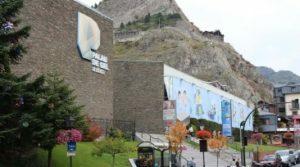 The Palau de Gel in Andorra will host the inaugural Development Cup with the national teams from Andorra, Ireland, Morocco and Portugal starting on Friday night. Andorra hasn’t been your usual place for international ice hockey tournaments. But at the 2017 Development Cup you don’t have your usual national teams either as Andorra, Ireland, Morocco and Portugal will play a four-team tournament between what one could call exotic ice hockey countries. The teams, and others that discussed a participation, come from countries that are not part of the IIHF Ice Hockey World Championship program. In that program national teams are expected to have a background of competitive ice hockey at home to enable them to play competitive games in their World Championship division. The IIHF Statutes & Bylaws require minimum participation standards in terms of having a big enough pool of players domestically, a development program, a national championship of a certain size and having at least one permanent international-size ice rink in its territory to be able to play the ice hockey according to the official rules. One of the initiators is Aaron Guli, the President of the Irish Ice Hockey Association. “About two years ago I came up with the concept of doing something for non-competing IIHF countries. I contacted these countries and Morocco was one of the first to get back to me. At the 2016 IIHF Annual Congress in Moscow I met the other countries face to face and Aleix Manosas from Andorra got involved straight away. We were looking originally at a location in Germany and then Aleix said they had an Olympic-size rink and organized for us to use that location,” Guli said about how the vision became reality. Other smaller European hockey countries with a smaller program that are currently not part of the World Championship program include Bosnia & Herzegovina, FYR Macedonia, Liechtenstein and Moldova. Andorra was the natural choice as a host since it’s the only of the four participating countries with an international-size ice rink, the 1,500-seat Palau de Gel with a 60-on-30-metre ice sheet located in Canillo in the north of the small country nestled in the Pyrenees between France and Spain. In fact, the Palau de Gel (“Ice Palace” in Catalan) once hosted an IIHF event, the 1997 IIHF Ice Hockey World Championship D-Pool. However, Andorra was not a participant and Spain the home team in the event won by Croatia. “We were talking with other non-full members of the IIHF at the Congress and the idea of such a tournament was born. 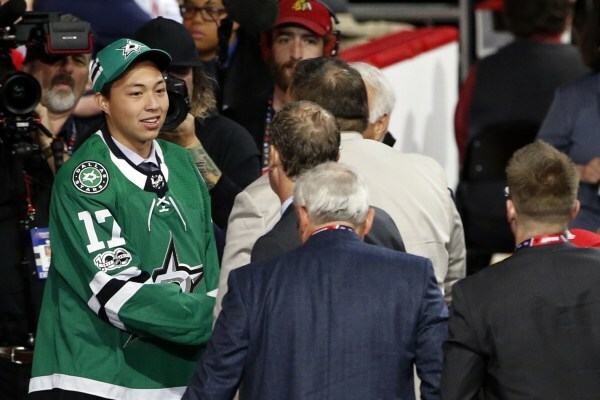 I met a lot of hockey lovers and people who wanted to do new things. Two of them were Aaron Guli from Ireland and Adil El Farj from Morocco. In the beginning of 2017 the conversations between Morocco, Ireland and Andorra restarted. The Andorran Ice Sport Federation wants to develop ice hockey and I thought that this could be a good opportunity,” said Aleix Manosas, the President of the country’s only ice hockey club Andorra Hoquei Gel and Vice President of the Andorran Ice Sports Federation. “With the help of the federation, the ice rink management and the Town Hall, we had the agreement to host this international tournament for the first time. Andorra is a little but multicultural place. There are a lot of different communities, and the Portuguese are one of the biggest. Andorra has good relations with Portugal and we thought that could be nice to invite them too. Their answer was positive very soon so we were four teams. Once this process has begun, some other countries started to follow us and probably the next Development Cup edition is going to be formed by three or four more nations. Like the hosts the other nations have small programs, but no full-size ice rink or even no rink at all in their country but hope to raise awareness and experience by participating in the tournament. 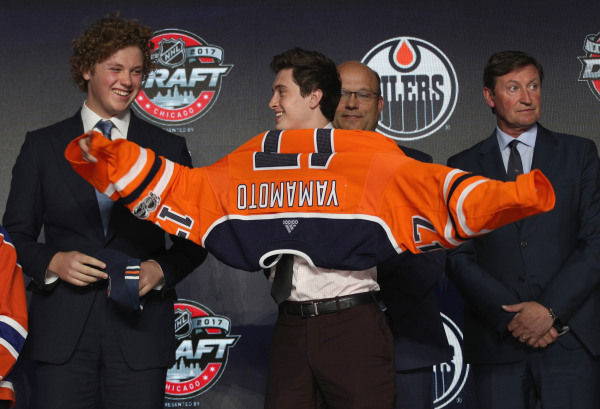 And they hope to make this premiere an event played and organized annually between national ice hockey associations like other events in the calendar at higher levels such as the Euro Hockey Tour or the Euro Ice Hockey Challenge. “To really help kickstart our programs we need an event like this, something for our players, particularly our younger player. Being able via our website and social media to show our national team is playing at an international event gives a large amount of interest in the country and I think it will help our countries and sport authorities to take notice that we will take our sport,” said Guli, who will also put on his skates to represent Ireland. On Friday and Saturday the four teams will have a dense schedule with six round-robin games followed by the medal games on Sunday. Playing the event in fewer days than usual in international hockey will save the teams with limited funding some costs. According to Guli the teams will try “as best as we possibly can” to stick to IIHF eligibility rules when it comes to players with two citizenship’s but also allow few exceptions since some of the countries have a tough time assembling enough players. “For example I have a player born and raised in Lithuania [IIHF linesman Vytautas Lukosevicius] but he officially transferred to Ireland seven years ago and is married to an Irish woman and is in the process of getting the passport. He wouldn’t be eligible yet but we allow a few exceptions of that nature. There may be some foreign-born players at other teams too but once the countries have a rink there will be a stronger base for more players,” Guli explained. And who’s the favourite to win the tournament? The teams are cautious on that question. “Andorra has a good team and wants to win this Cup. It’s going to be hard, but not impossible. In a few days we will know the final scores,” said Manosas. “My personal feeling is that anyone can win. Nobody of us particularly knows the level of the other teams. I think we’ll have a very strong chance, I feel confident about our team but I’ve never seen any of the other teams play,” Guli added. The organizers will post live scores and delayed game videos on their Facebook page. As Emirates Hockey League resumes in October, Juma Al Dhaheri is determined to win a third title, but the bigger picture includes developing Emirati talent. Even as they get ready to chase a third Emirates Hockey League (EHL) title when the season kicks off next month, the Abu Dhabi Storms will be using the competition to develop upcoming Emirati players. UAE captain Juma Al Dhaheri, who also leads the Storms – a side comprising of mostly UAE players – has said that the primary objective since the EHL was founded in 2009 has been to deepen the talent pool. “Obviously our aim is to win the title and if we can achieve that, it’s a bonus for us. 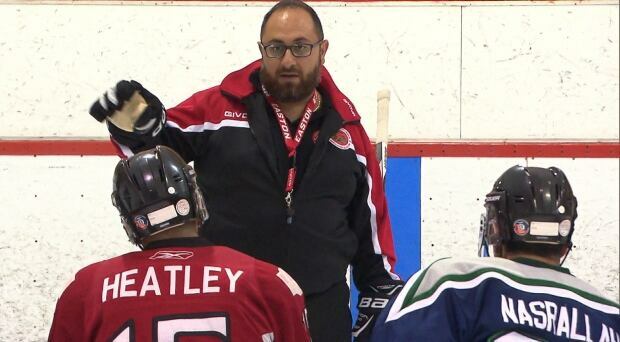 But the emphasis really is on the development of the national team,” said Al Dhaheri, who is also general secretary of the UAE Ice Hockey Federation. Al Dhaheri also hailed the clubs for their commitment to raising the bar every year. “The league was at a good level from the time it was founded,” the forward said. “The league consists of several expatriate players from established hockey playing nations in the teams. They bring load and loads of experience to the league. “The EHL was founded on the recommendations of the IIHF [International Ice Hockey Federation] with whom we are working closely to develop the sport in the region. Such has been the quality of competition that as many as five teams have won the title over the past eight years. The Dubai Mighty Camels lifted the trophy three times and the Storms twice. The Al Ain Vipers, the inaugural champions, the Dubai Oilers and the White Bears won once each. Last season was a good one for the Dubai-based White Bears, not just because they won the league, but also due to the fact they went on a record 10-match winning streak. It was a run that included a 2-0 triumph over Al Ain Theebs in the best-of-three finals. As the new season gets underway when the White Bears visit the Garden City to take on the Theebs on October 2, player-coach Troy Kahler is confident about their title defence. “As the champions, we are very excited for the action to begin,” the Ontario native said. “We have some new players crossing over from the Vipers and some arriving from Sweden, so we are going to look a little different from the last season. Al Dhaheri is also looking forward to the all-round development of the sport in the UAE. “The President’s Cup in November [14-17] is one of the major events we have been hosting,” he said. Other upcoming events include the Bangkok Land of Smiles tournament from October 28 to November 1 and the Belarus International men’s competition from January 4-7. There will be key tournaments to look forward to in March: the women’s team feature in the Challenge Cup of Asia and the youth side play in the U20 Challenge Cup of Asia. The highlight, however, will be the senior team’s participation in the World Championship Qualification Division 3 competition in Turkmenistan. The International Ice Hockey Federation released the ice hockey schedules and matchups Monday for the 2018 Winter Games in Pyeongchang, South Korea — the first Winter Games that will not feature NHL players since 1994. Canada opens defence of its Olympic men’s hockey gold Feb. 15 versus Switzerland and women’s gold Feb. 11 against Russia. The International Ice Hockey Federation released the ice hockey schedules and matchups Monday for the Winter Games in Pyeongchang, South Korea. Canada’s women, who are currently training full-time in Calgary, will try to extend the country’s run of gold to five in a row. Canada will ice a team of non-NHL players in the men’s tournament for the first time since 1994. The league chose to skip next year’s Games. 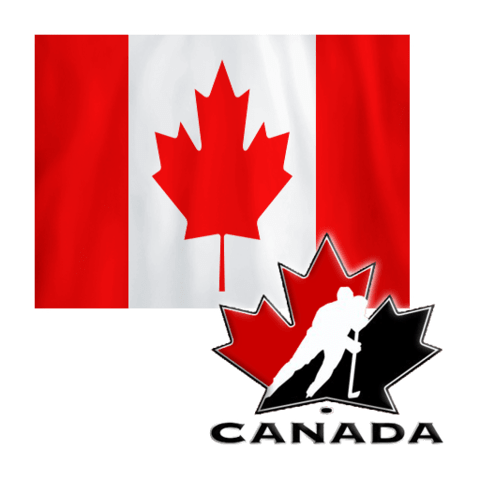 The Canadian men take on the Czech Republic on Feb. 17 and conclude the preliminary round in Pool A the following day against host South Korea. Quarter-final games are Feb. 21 followed by the semifinals Feb. 23. The bronze-medal game is Feb. 24 and the gold-medal game Feb. 25 prior to the closing ceremonies. Russia, the United States, Slovakia and Slovenia are in Pool B. Sweden, Finland, Norway and Germany make up Pool C.
Canada’s women face Finland on Feb. 13 and the archrival Americans on Feb. 15 in Pool A games. The quarter-final matches are Feb. 17 followed by the semifinals Feb. 19. The bronze-medal game is Feb. 21 and the championship game is Feb. 22. Sweden, Switzerland, Japan and host South Korea round out the women’s field. Games will be played at the Gangneung Hockey Centre, which has a capacity of 10,000 spectators, and the 6,000-seat Kwangdong Hockey Centre. 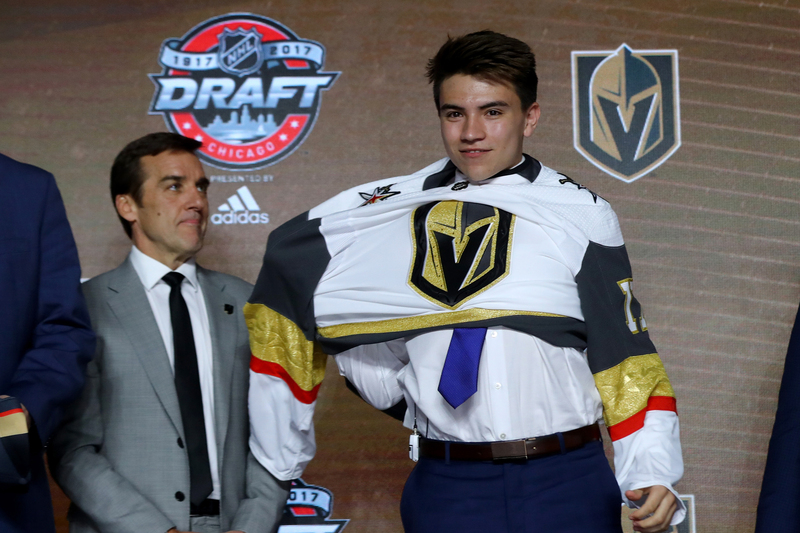 “Twenty bucks, guys,” says a player who’s just suited up in his hockey gear, as he makes his way around the locker room collecting his teammates’ contribution to pay for the ice time at Montreal’s Collège Brébeuf arena. Most of the guys are here after work, and they have to get up early the next morning to return to their jobs. It’s a scene repeated at beer-league hockey games in arena locker rooms across the country. 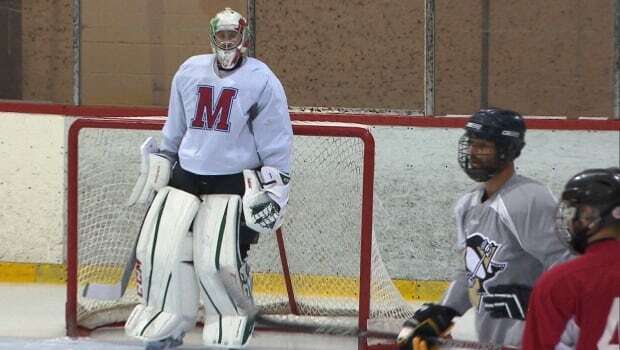 These players, however, aren’t your average beer leaguers. They’re members of Lebanon’s first national ice hockey team. Canadian hockey players speak of the immense pride they feel when they pull on the maple leaf jersey to represent their country. The Lebanese players say they feel the same way about the cedar tree — the national symbol of Lebanon. “I feel like someone gave me a mission, and this mission is to represent my country,” said winger Joe Bouhaidar. 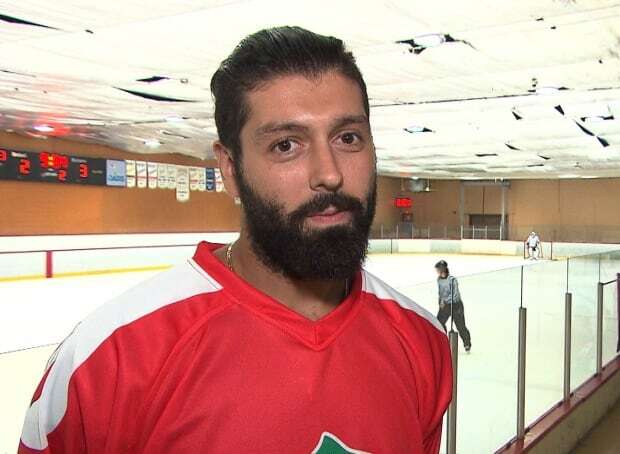 Bouhaidar, 29, was born in Quebec City and grew up playing hockey, reaching Midget AAA. “Since I’m young, I always wanted to play for a national team,” he said. “Obviously, it’s a great honour to play for a team like Canada or U.S.A.
Claude Kfoury, 39, didn’t lace up skates until his teen years. His family came to Canada in 1991 to escape the violence in their war-torn home country. The defenceman remembers, soon after he arrived, watching the 1991 Stanley Cup finals between the Pittsburgh Penguins and the Minnesota North Stars. Kfoury wanted to play right away. One problem: his family arrived in May. The team was the brainchild of Ralph Melki and a group of friends — Lebanese Montrealers who loved the game. Melki, now the team’s coach, said they realized other Middle Eastern and Arab teams have national teams. So why not Lebanon? “We started something here in Canada, because there’s a lot of Lebanese in Quebec. There’s a lot of Lebanese that play the game, and this is how it all started,” said Melki. The group created a Facebook page, and word spread. At the first tryout last spring, 75 players came out. There’s no formal structure. The team doesn’t even play in a league at the moment, instead arranging exhibition games against other national teams such as Egypt, Morocco, Haiti, Algeria. Melki says Lebanon’s team has players coming in from Toronto, Ottawa, Michigan and France. Four players even flew in from Calgary for the team’s first game in April. That game was a 7-4 win over Team Haiti — a group of Montrealers who grew up playing hockey much the way the Lebanese players did. Since that first win against Haiti, the Lebanese national team has gone on to beat Egypt and Morocco. Tonight they play Algeria — a team made up of players of Algerian descent now living in France. Melki says the team is aiming for a bigger stage — being accepted into the International Ice Hockey Federation. To accomplish that, the team needs the backing of the Lebanese government and proof that the country has at least one ice hockey rink and a league with teams. Skating on the national team has done more than bring hockey players together from far and wide. It has also bridged a stark cultural and political gap: the two prominent religions back home, Islam and Christianity, have long been a source for conflict. Once the players pull on their jerseys with the cedar tree on the front, political and religious differences are set aside. Tonight’s matchup between Lebanon and Algeria takes place at Place Bell, 1950 Claude-Gagné Street in Laval. Game time is 9:15 p.m. ET.